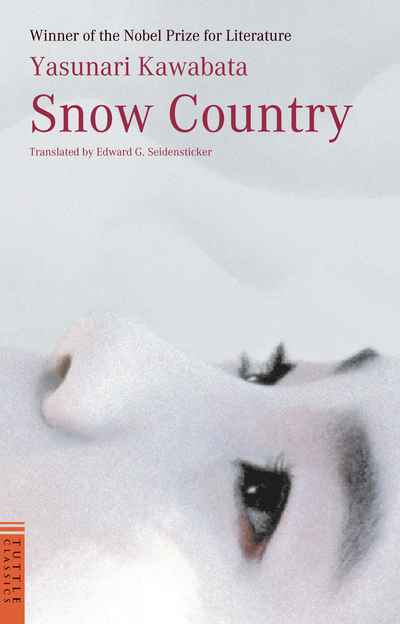 Snow Country, perhaps the most of Yasunari Kawabata’s classic Japanese novels, is a dazzling portrait of a country geisha, Komako, in a Japanese hot springs resort, as seen through the eyes of a wealthy dilettante, Shimamira. The two main characters, as well as Yoko, the pretty maid who comes between them, are searching for love, but their circumstances and their unrealistic hopes ensure they cannot find it and that only tragedy and deep despair for all three of them can ensure. To this haunting novel of doomed love, Kawabata brings the brushstroke suggestiveness and astonishing grasp of motive that earned him the Nobel between the main characters change as the book progress. Although the opening scenes depict the beginning of true, unblemished love, the book ends on the brink of tragedy for Shimamura and Komako – and Yoko as well. It is a lovely story that brims with the fire of passion and then grows as ice cold as the snowy mountains in which it is set.